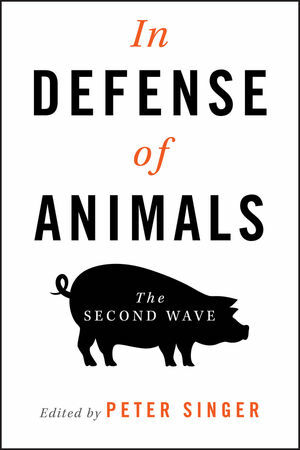 Bringing together new essays by philosophers and activists, In Defense of Animals: The Second Wave highlights the new challenges facing the animal rights movement. Peter Singer is Ira W. DeCamp Professor of Bioethics at the University Center for Human Values, Princeton University. He is the author of Animal Liberation, first published in 1975, and is widely credited with triggering the modern animal rights movement. His Practical Ethics is one of the most widely used texts in applied ethics, and Rethinking Life and Death received the 1995 National Book Council's Banjo Award for non-fiction. He is also editor of four other titles for Blackwell: A Companion to Ethics (1991), A Companion to Bioethics (with Helga Kuhse, 1999), The Moral of the Story: An Anthology of Ethics Through Literature (with Renata Singer, 2005), and Bioethics: An Anthology (with Helga Kuhse, 2nd edn., 2006). 1. Utilitarianism and Animals: Gaverick Matheny. 2. The Scientific Basis for Assessing Suffering in Animals: Marian Stamp Dawkins. 3. The Animal Debate: A Re-Examination: Paola Cavalieri. 4. On the Question of Personhood Beyond Homo sapiens: David DeGrazia. 5. Religion and Animals: Paul Waldau. 6. Speciesism in the Laboratory: Richard Ryder. 7. Brave New Farm? : Jim Mason and Mary Finelli. 8. Outlawed in Europe: Clare Druce and Philip Lymbery. 9. Against Zoos: Dale Jamieson. 10. To Eat the Laughing Animal: Dale Peterson. Part III: Activists and Their Strategies. 11. How Austria Achieved a Historic Breakthrough for Animals: Martin Balluch. 12. Butcher Knives into Pruning Hooks: Doing Civil Disobedience for Animals: Pelle Strindlund. 13. Opening Cages, Opening Eyes: An Investigation and Open Rescue at an Egg Factory Farm: Miyun Park. 14. Living and Working in Defense of Animals: Matt Ball. 15. Effective Advocacy: Stealing From the Corporate Playbook: Bruce Friedrich. 16. Moving the Media: From Foe, or Indifferent Stranger, to Friend: Karen Dawn. 17. The CEO as Animal Activist: John Mackey and Whole Foods: John Mackey, Karen Dawn and Lauren Ornelas. 18. Ten Points for Activists: Henry Spira and Peter Singer. A Final Word: Peter Singer.